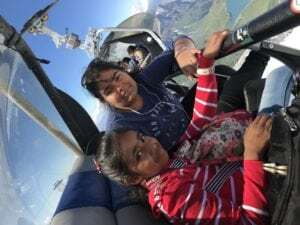 Like so many Indian kids who grew up in eighties and nineties, I was first introduced to Switzerland by Bollywood movies and by late Yash Chopra. 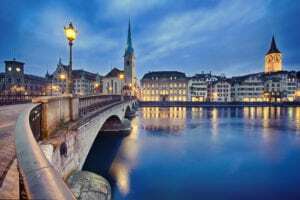 I don’t remember whether it was Chandni movie, or was it Darr, or DDLJ, but some where in those years, Switzerland became the part of dream vacations list. So when we started planning for Europe trip, Switzerland was the first thing came to the mind, and rest of the planning became easy. We flew from Chicago to Zurich via Brussels and landed in Zurich late in afternoon and stayed near Zurich airport at Hilton. 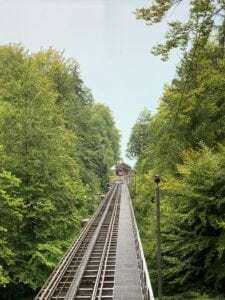 We debated long whether we should take the rental car and drive from Zurich to Interlaken or should we use the trains. After spending last 15 years in US and driving all around for thousands of miles, rental car was the default option. 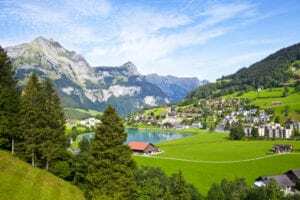 After analyzing all the options, we thought of giving a local twist to our Swiss holidays and decided to explore the beautiful valleys and mountains of Switzerland by Swissrail. If you are debating the same, go for trains, that will be my suggestion. 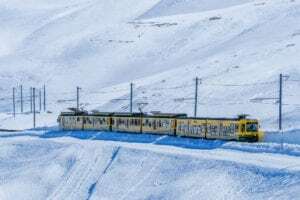 The Swiss rail network is noteworthy for its density, its coordination between services, its integration with other modes of transport, timeliness and a thriving domestic and trans-alp freight system. 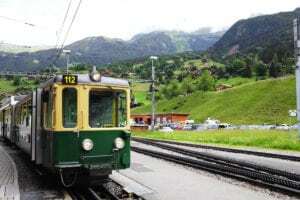 And best part is, you will be able to sit, relax and take hundreds of pictures of landscape as the trains cris-cross mountains and valleys of Switzerland. So next thing was to find out about different trains and their timings. There is no other rail network in entire Europe than can be compared with Swiss train system in Switzerland. They have built amazing train system and if you are in Switzerland for short duration, you must try the Swiss trains as much as you can. 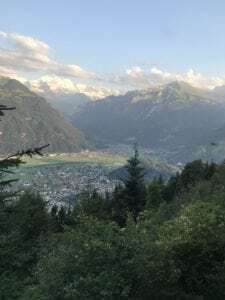 We took the 4 days Swiss Travel Pass, which allows you to board almost any trains, cruises and in some places decent discount in cable cars and ferries. Other good part is that kids travel free on parents ticket. We took morning 8 AM train from Zurich to Bern which was around one hour journey and from there we changed the train for Interlaken Ost. Timeliness and cleanliness was the very first thing that you notice, even if it’s running full packed with passengers. We reached Interlaken Ost an hour later and it was around noon that time. We had our bookings at India Village and had called the hotel van to collect our luggage from the station so we can go for some site seeing. 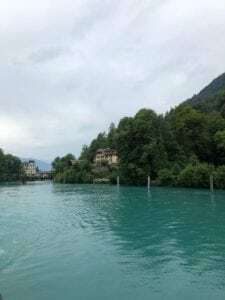 Just across the road from Interlaken Ost station is the point where the Cruise starts, that goes all the way in beautiful lakes of Brienz. 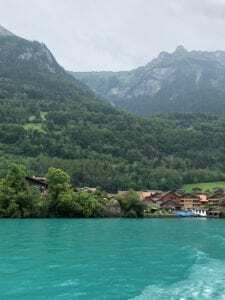 Pure emerald color water and scenic mountains both side of the lake gives you some of the best snaps that you will take in Interlaken area. 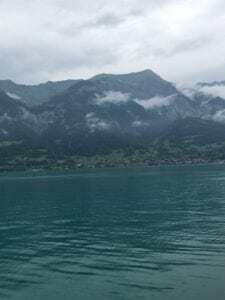 So our very first activity in Interlaken was next 3 hours of Cruise trip, and the whole experience was amazing. 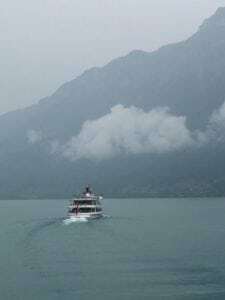 With mist and clouds all around, and the water everywhere, the whole journey was breathtaking. 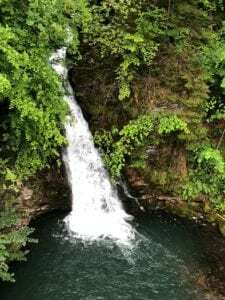 Other best part of the cruise was to get down at different stops go walk around the town and do site seeing and then come back and take another cruise to go to next stop. With Swiss Pass all that was free, no extra cost. 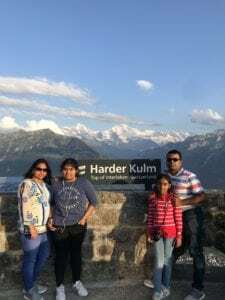 Harder Kulm is a viewpoint at around 1300 meters height, overlooking the towns of Interlaken and Unterseen. 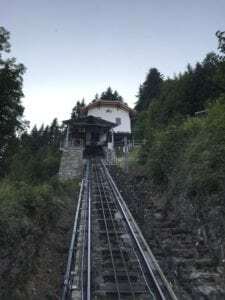 In just 10 minutes drive panorama Funicular will take you from Interlaken to Harder kulm. You can see some of the best views of Interlaken town, adjacent mountains and Jungfrau. 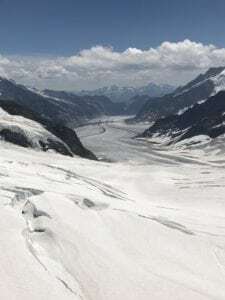 It takes almost 3 hours to go to Mt Titlis from Interlaken by train. So we decided to take early morning train from Interlaken Ost to Luzern, where you change the train for Engelberg. 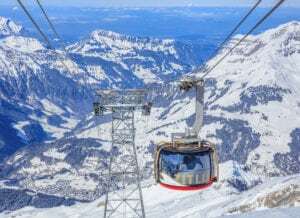 After reaching Engelberg station, we bought the tickets for various activities at Mt Titlis. 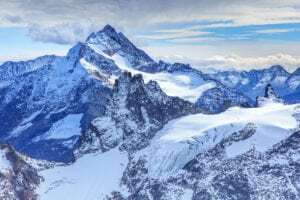 From Engelberg station you walk for 15 minutes to reach Mt Titlis base location, from where you take Rotair, world’s first revolving cable car ride to go to the one of the most famous attraction of Switzerland, Mt Titlis. 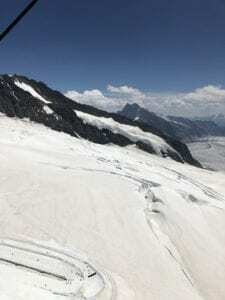 Jungfraujoch is also known as Top of Europe, without going there, your Swiss vacation will not be over. 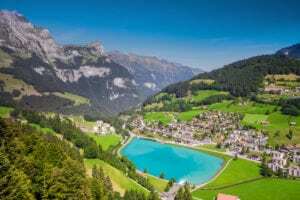 From Interlaken, you need to take a train to either Grindelwald or Lauterbrunnen to go to Jungfrau. 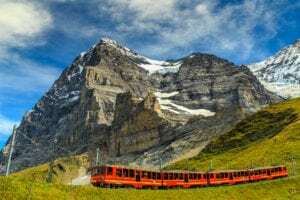 Grindelwald and Lauterbrunnen are two stations from where you get the train that goes to Kleine Scheidegg, from here you need to change the train and take another one that goes to the top of Europe, Jungfraujoch. We took the morning 8 AM train from Interlaken Ost to Lauterbrunnen and reached there at around 8:40, after 20 minutes from here we boarded another train for Kleine Scheidegg. 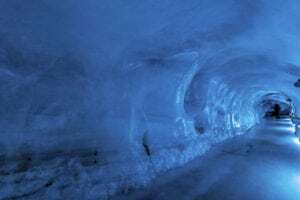 We had already taken a reservation in the train from Kleine Scheidegg, that goes to Jungfraujoch. From here the train to Jungfraujoch takes around an hour and going through number of tunnels and passages only Swiss people could have thought about. 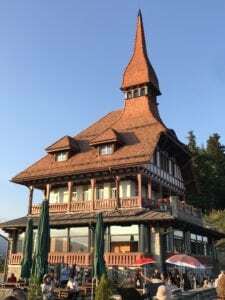 There are lots of activities, shopping and history that you can admire at Jungfrau. 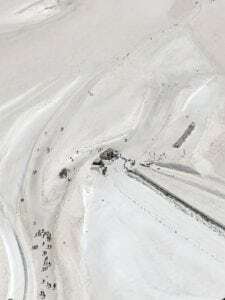 3500 meters above sea level, this place is wonderful example of what was achieved by many years of hard work, grit and technology to bring the train up to that spot. Its an unforgettable experience. 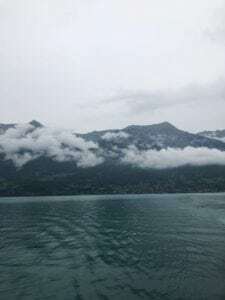 5 days in Switzerland went so fast that we could not believe. There is so much to see and so much to admire that you need many more days. 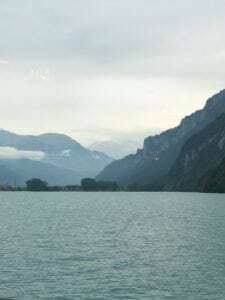 We had to move on to our next stop in Europe, and hence it was time to take train back from Interlaken to Zurich, and next day fly out from Zurich to Venice, Italy. Can you buy Swiss pass online also ? 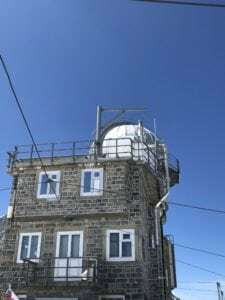 How many days do you think are good to cover all the major mountains ? ?